HomeMaking a Commitment to a Nutrition Lifestyle. Anyhow I’m interested in reading your progress on this. Thank you. I am working on no dairy or grains. My protein is normally fish. Fortunately I like fish. Unfortunately it’s not fresh fish, but still, better than a lot of things I could have. The time I did it very well I noticed my system was doing nicely although the pain wasn’t any better. But with Fibro, one less thing to worry about is always nice. Dairy and grains can cause inflammation, especially the dairy part, I am sure of that one. I used to do a food journal years ago. I ran across it on my old laptop. I had all of these spreadsheets with information about what I was eating and everything. Once we get this move underway and I can concentrate again. I will finish up my Swamp Fairy book. It is coming along well. I will ask you to beta read down the road. 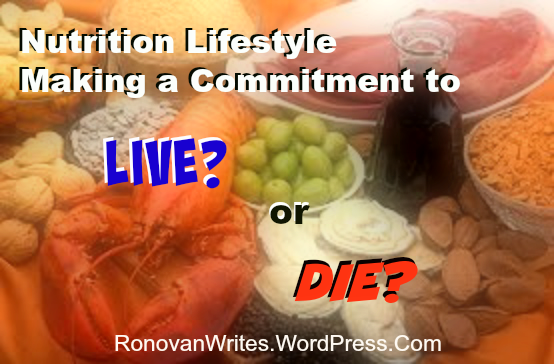 If you do a healthy living blog, I want to contribute! LOL! Good luck with your dietary changes! It’s a tough one, changing eating habits, but when you feel the changes, it is worth it! Good luck Lovely Ron!